What Are Latex-Free Adjustable Silicone Wristbands? When you purchase custom silicone wristbands, it’s not always possible to know the various needs of people who may be wearing them. Size is one issue. Another important consideration is latex allergies. Some “rubber” wristbands sold online are supplemented with latex, which can cause a severe allergic reaction in some people. With adjustable bands from AmazingWristbands.com, your bands are sure to fit anyone, and all our products are 100% latex free. 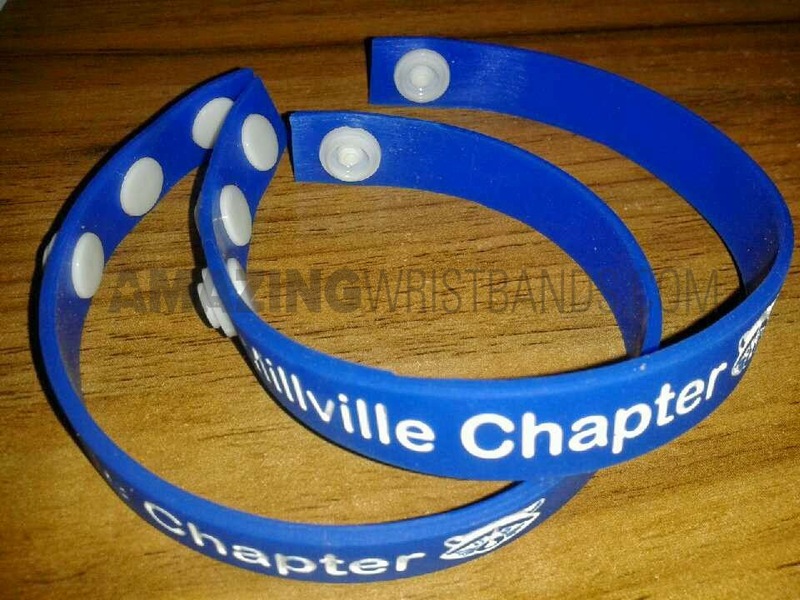 Adjustable bands have buttons that allow you to serve the needs of multiple people with just one type of wristband. Adjustable up to 8.5 inches, adjustable bands have inconspicuous buttons that allow the people wearing them to choose their own size. Latex allergies can be dangerous, so be sure you purchase wristbands made with silicone without any cheap fillers such as latex. Here, we only sell 100% latex free products. Choose from dozens of different colors, from plain white to florescent orange. Segment or swirl colors for your own special effect. Add glitter or glow to your adjustable bracelets. 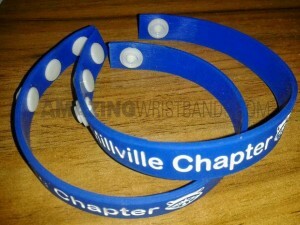 Add your own custom message to your bands, with printing available on the front and back of the band. Add custom artwork or select from our clipart library. Use our online tool to create your own adjustable bands today!